This is a really easy letter to write. 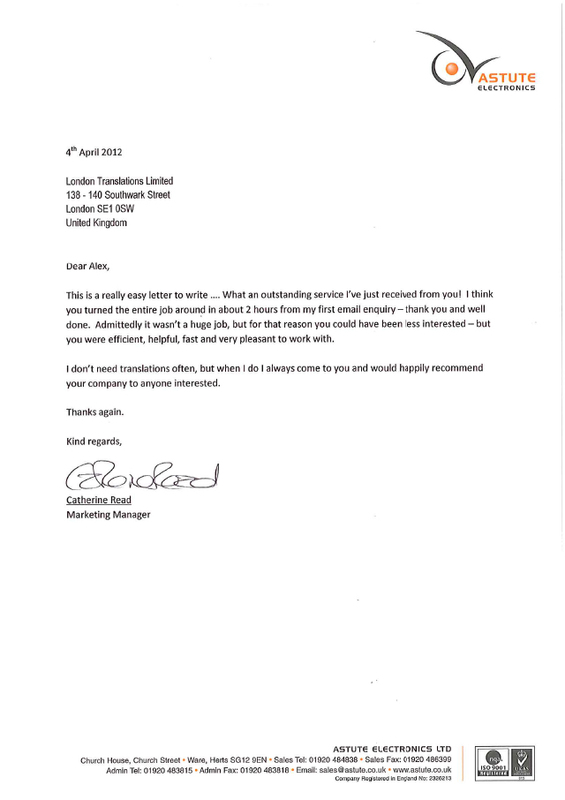 What an outstanding service I’ve just received from you! I think you turned the entire job around in about 2 hours from my first email enquiry — thank you and well done. Admittedly it wasn’t a huge job, but for that reason you could have been less interested — but you were efficient, helpful, fast and very pleasant to work with. 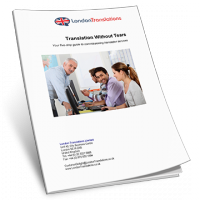 I don’t need translations often, but when I do I always come to you and would happily recommend your company to anyone interested.